The Listings Metrics page can be accessed by navigating to the Listings page and clicking the See Listings Metrics link, or by clicking the Listings Metrics link that appears on the top navigation bar when you hover over the Listings link. 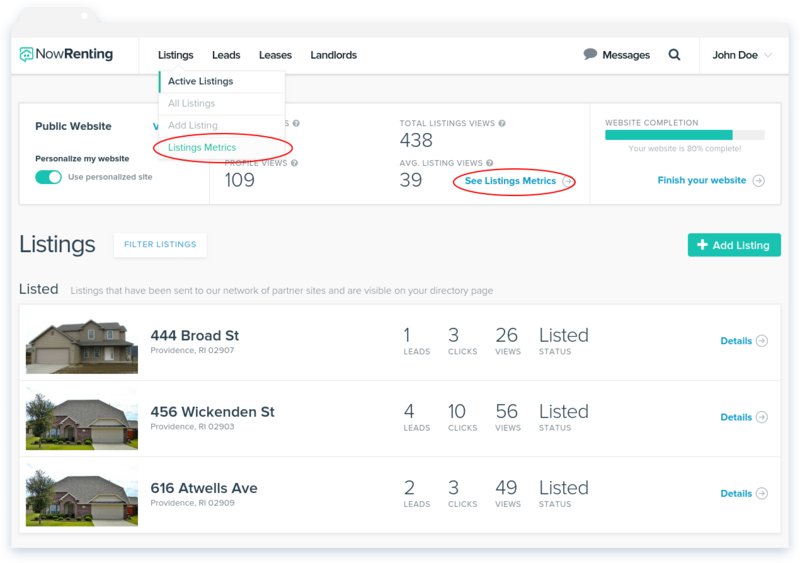 The Summary tab shows a summary of your Listings, broken up according to their status as listed, expired or unlisted. The Total column shows how many Listings of each status you have. 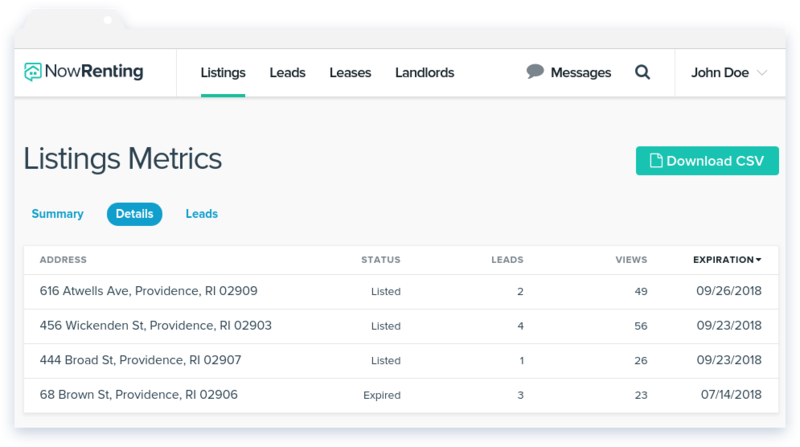 The Leads column shows how many Leads are associated with Listings of each status. The Views column shows how many times Listings of that status have been viewed in the NowRenting Directory, or though your NowRenting custom web site. The Details tab shows all of your Listings, with the number of Leads and views for each. It also shows the expiration date for each Listing. 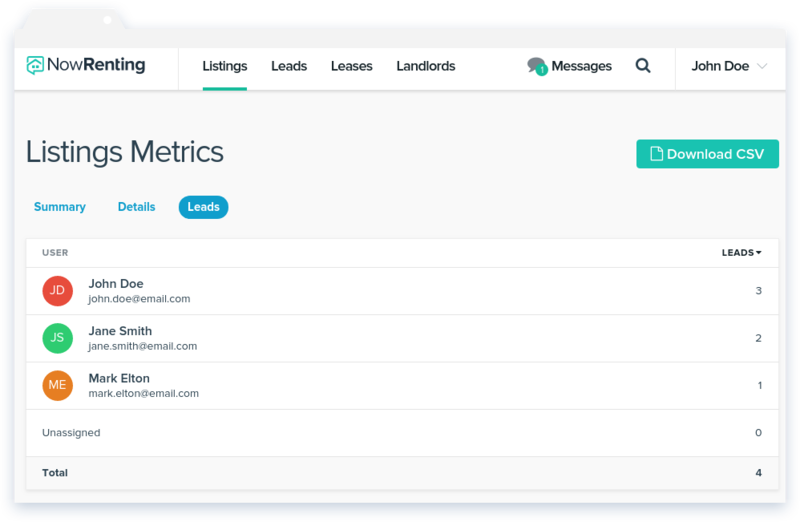 The Leads tab shows a list of all the users in your account, and how many Leads are assigned to each. For more details about assigning Leads to your users, see here. Note that Leads can be assigned to multiple users, so the numbers shown may add up to more than the total.